Here’s a quick recipe that came from the need of me trying to get some extra nutrition to my super picky eating toddler. My son decided he hated meat and just would not eat it. So I had to learn other ways to get him his protein. I was also trying to lose my mama kangaroo pouch so I was in need of a good protein powder for shakes but I could never find one that was actually good. 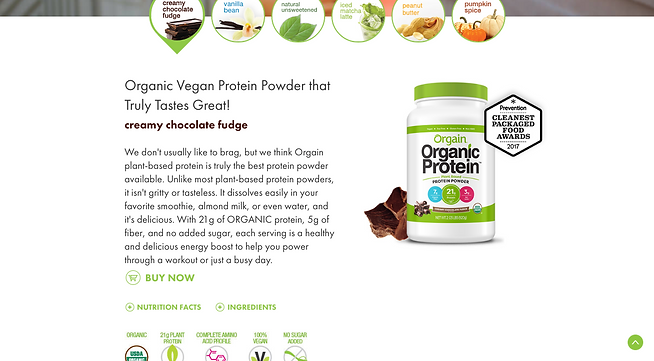 Orgain protein powder was the answer to all of our prayers. There is a chocolate fudge flavor that I fell in love with. 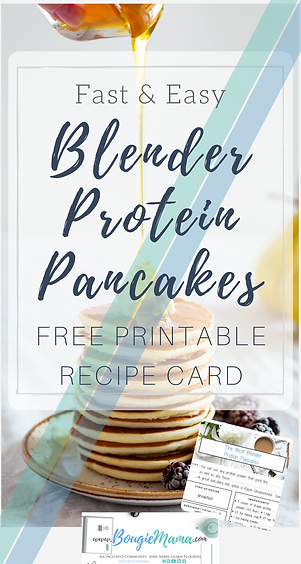 I made this recipe because all of the protein pancake recipes that I found produced flat, lifeless pancakes. And I’m picky about my pancakes. They have to be nice and thick and fluffy. I also created this recipe because I needed something that was super quick to prepare. Using the blender eliminated all that (probably only 3 minutes but hey..) time used on mixing and got everything mixed a lot better than I ever could by hand. 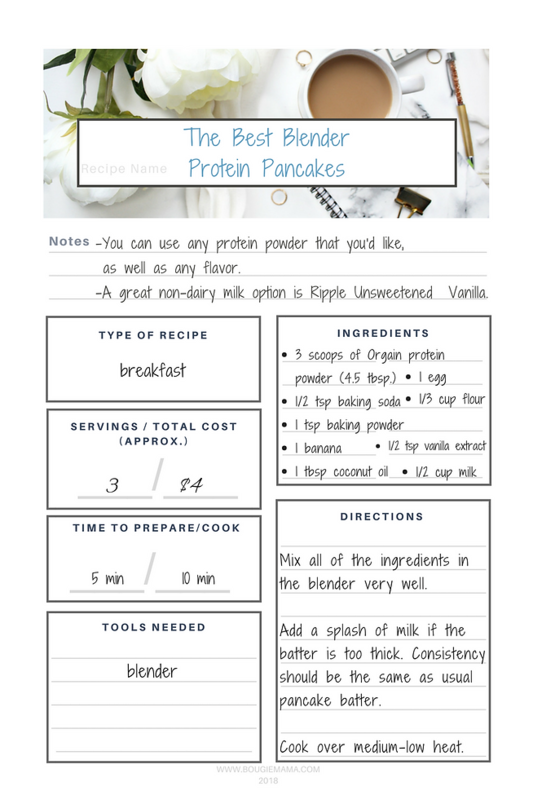 Note: This recipe was created using Orgain protein powder and Ripple Vanilla milk, however, you most definitely can use other types of protein powder or milk. Mix all of the ingredients in the blender very well. Add a splash of milk if the batter is too thick. Consistency should be the same as usual pancake batter. Cook slowly over medium-low heat. I’d love to hear about it when you try them out! I haven’t explored with any other flavors yet, let me know if you do!